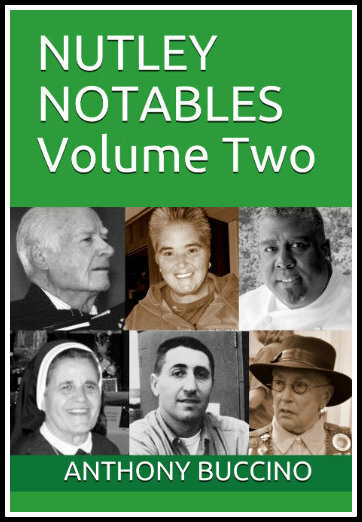 A book about Nutley notables, more than one-hundred people profiled here made a memorable impact on Nutley, New Jersey, throughout history to today. Nutley, NJ, author Anthony Buccino's stories of the 1960s, transit coverage and other writing earned four Society of Professional Journalists Excellence in Jouralism awards. We’ve co-mingled the people with the history of our town and although you think you know your Nutley history, there are bound to be a few surprises here. by any group or government entity. © 2019 By Anthony Buccino.